Texas Precious Metals is bullion coin dealer operating out of Shiner, Texas. They’ve been in business since December 16, 2004 and are currently regarded as a nationally recognized precious metals dealer. In this Texas Precious Metals Review, we’re going to further investigate the company and see where they stand in accordance with other consumer advocacy groups and consumer review websites. In tough economic times such as today, it’s wise to research all financial institutions before making a final investment decision. By no means should this article be taken as legal advice, instead it should be taken as an honest review of the Texas based precious metal dealer based on various sources found on the web. Regarded as the “watchdog” of all consumer advocacy groups, the Better Business Bureau gives businesses a grade from A to F based on certain specifications. Texas Precious Metals has been an accredited business with the BBB since May 5, 2011. They also have 1 complaint filed against them through the BBB website for Billing issues, this complaint was resolved with the assistance of the Better Business Bureau. However, the BBB has come under scrutiny in recent times for the ease of receiving an A+ grade. All one company must do is file paperwork and pay a small fee to receive an A+ rating. Does this discredit the rating entirely? Absolutely not, as we’ve seen other financial institutions receive far worse grades with far more complaints. This company also falls under the identity of ‘Kaspar Companies’ and is owned by Jason Kaspar. The company is also family owned. Yelp is one of the more trusted consumer review sites online. You can find reviews on a local mom and pop shop all the way to big name precious metals dealers. While there were only two reviews to be found, one was in favor of the Shiner, Texas company while the other left a clear warning to steer clear. The first consumer was very happy with his experience, saying that they were an excellent precious metals broker and he was not disappointed at all. The second comment however came from John S. from Long Beach, California. John alleges that Texas Precious Metals got a hold of his credit card information and conducted unauthorized transactions and furthermore did not receive any precious metals or items in return. While this is very hard to tell who is in the right and who’s in the wrong, it is nice to see that the CEO of the company came out and publicly responded to the matter. What we do find odd however is that there are no more than 2 reviews of this company from what we here at Smart Gold Investments consider credible sources. One would assume that a company that does business ‘The Texas Way’ as they claim on their website – would have more reviews and positive feedback on credible consumer advocate websites such as Trustlink and the Better Business Bureau. Noteworthy as well was the fact that the one positive review we found was left on May 30, 2013, more than a year at the time of this article being written. The inconsistency of consumer reviews is odd to find based on all the other precious metals companies we’ve reviewed. Texas Precious Metals currently has 0 consumer reviews and is not rated with Trustlink. November 2014 Update: After being contacted directly by Texas Precious Metals, they brought to our attention some inconsistencies within our article. It seems that Texas Precious Metals does in fact have over 1,400 reviews on the third party website www.resellerratings.com. From what we’ve found, there are both positive and negative reviews as expected with any precious metals company. This does in fact reveal an element of credibility to Texas Precious Metals. We here at Smart Gold Investments want to ensure that you’re getting the most valid information possible and sincerely thank the Texas based dealer for bringing this new resource to our attention to better assist you. Texas Precious Metals currently has 1,413 reviews on Reseller Ratings, a third party consumer website which allows users to share their reviews from companies they’ve done business with. Consumers can go and leave a rating of 1 to 5 stars. As it stands the company currently has a 5 out of 5 star rating amongst their consumers. After scouring the web we’ve come to the conclusion that Texas Precious Metals is not a bad company. In fact, they have over 1,400 positive reviews from a third party website known as Reseller Ratings. However, it’s odd to see that their aren’t more reviews on highly credible websites such as the Better Business Bureau, Trustlink, nor the Business Consumer Alliance (BCA). Not all is bad with this company as it was great to see the CEO come out and make a public comment on Yelp. Aside from the 1,400 reviews found on Reseller Ratings there is nothing that suggests this company is superior than any other company. Their are little to no reviews on the BBB website, on Trustlink or even on Yelp or the BCA. 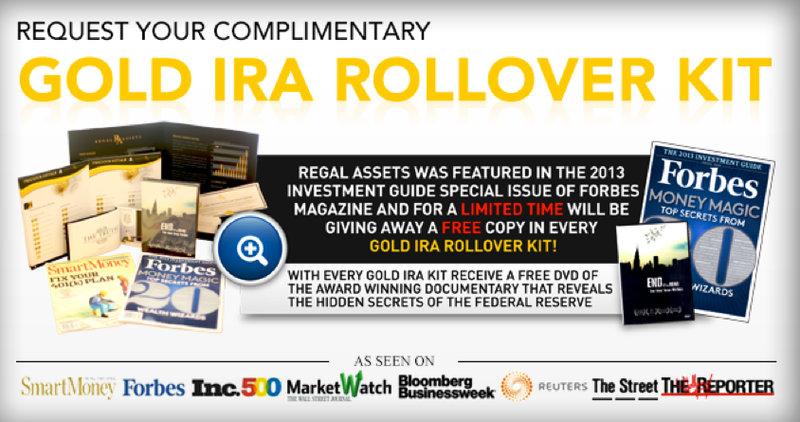 It’s almost as if information seizes to exist on credible websites, which puzzles us since there is virtually hundreds of reviews on other gold IRA companies we’ve reviewed. The lack of information on credible websites may be a sign to review and explorer other companies for your precious metals investment needs. There are certainly other alternatives to take a look at but that does not mean that Texas Precious Metals is a bad precious metals deal. As always we advise all of our readers to do their due diligence and research each company before making any financial decisions.